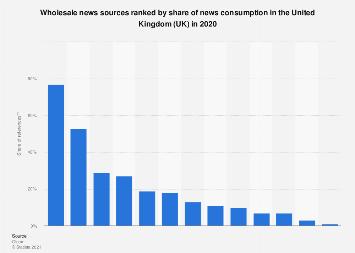 The morning routine in Pyongyang most certainly does not involve somebody sitting in a corner of Starbucks, sipping a skinny latte and checking the latest headlines on their iPad. 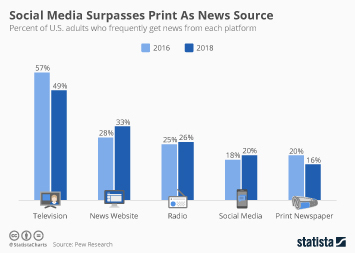 News is tightly controlled by the regime while illiteracy and a lack of basic media items make news consumption challenging. 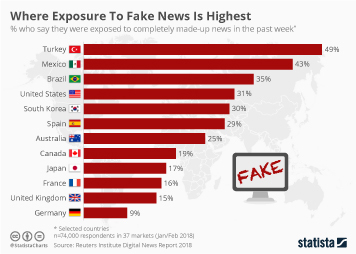 For example, state broadcaster Korea Central Television mentioned Kim Jong-un's trip to Singapore but nothing of his historic meeting with President Trump. 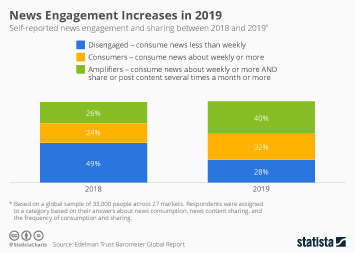 Only around 38 percent of North Koreans get their news from domestic TV anyway while the vast majority of people, 71 percent, rely on word of mouth. 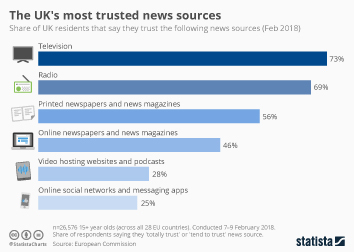 Domestic newspapers are something of a rarity in North Korea with only 15 percent of North Koreans considering them an important source of information. 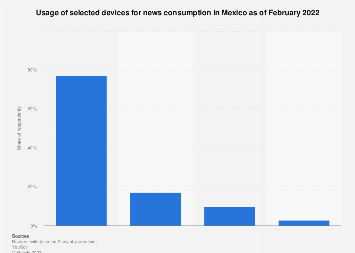 Other more risky forms of news gathering include watching smuggled DVDs and listening to South Korean radio - two activities that could result in a lengthy spell in one of the country's brutal forced-labor camps. 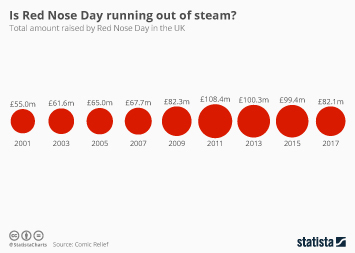 The data for this infographic comes from a relatively limited sample size of 250 North Korean refugees or travelers polled by Intermedia in 2012. 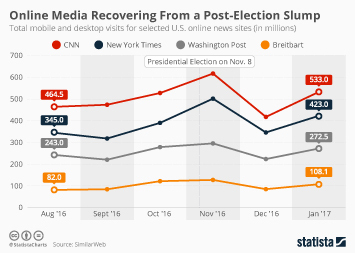 Nevertheless, it does offer a semblance of insight into news consumption in the world's most reclusive nation. 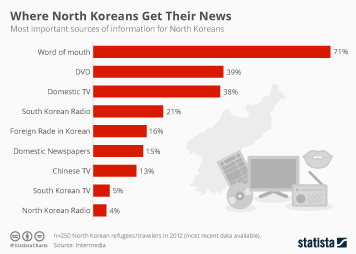 This chart shows the most important sources of information for North Koreans. 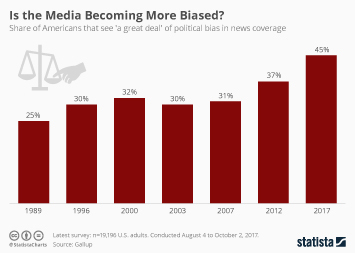 Is the Media Becoming More Biased? 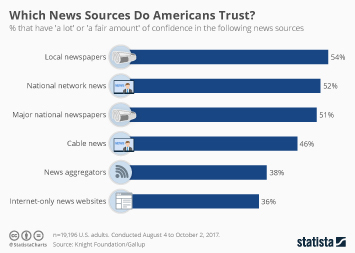 Which News Sources Do Americans Trust? 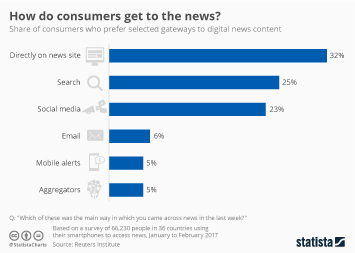 How Do Consumers Get to the News? 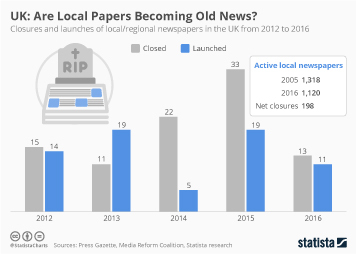 UK: Are Local Papers Becoming Old News? 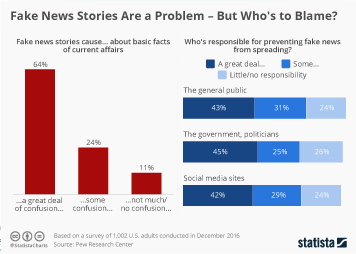 Fake News Stories Are a Problem - But Who's to Blame?